A user driven project in which I worked with Rikarin, a Harajuku fashionista, to design a blossoming garment. 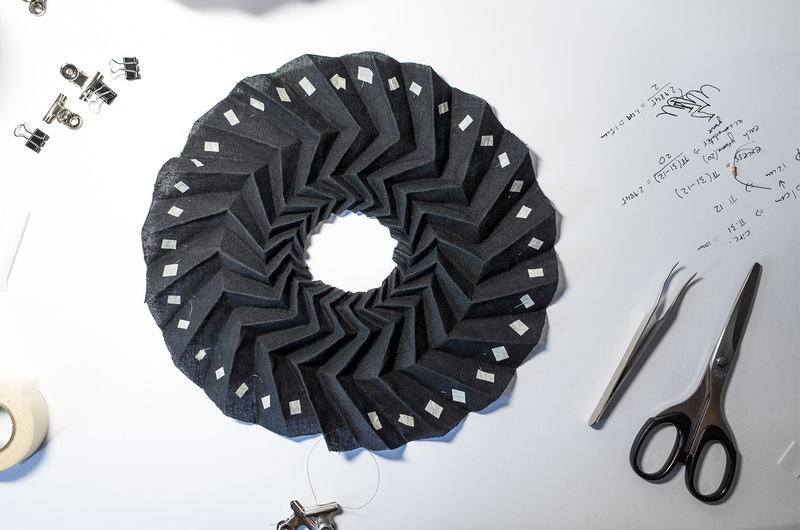 A user-driven design project which sought to merge fashion and engineering. Working with and to the needs of the Harajuku fashionistas of Tokyo, I designed and prototyped this origami garment, worn as a neck piece. When switched on, the embedded shape memory alloy wire expands, causing the origami structure to peacock. 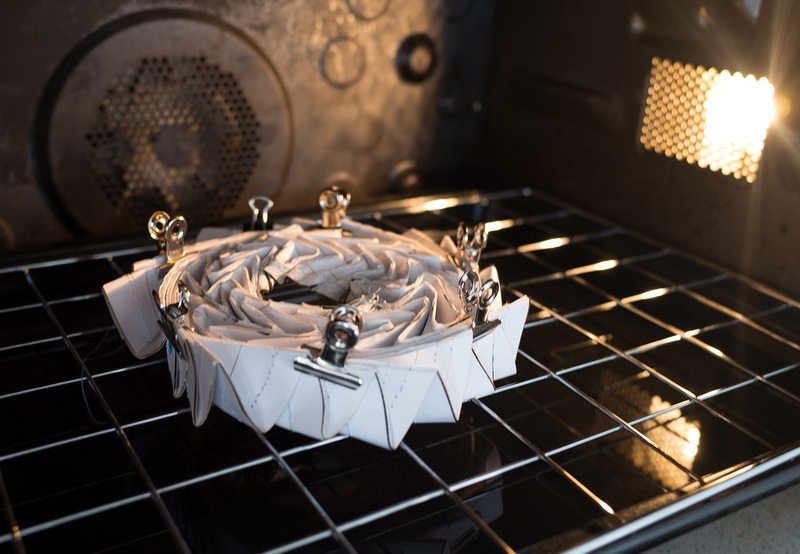 Research and prototyping many origami structures,various fabrics, pleating methods and mechatronics played a huge role in the project. 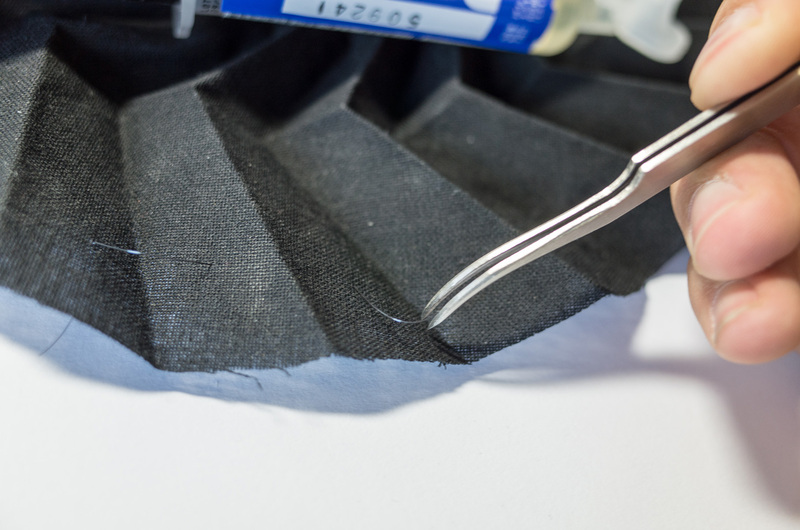 Note that the current prototype is made from a black fabric, yet the final product is intended to be made from an assortment of pastel coloured fabrics and allow the user to customise their garment with fabric tattoos. Inspired by Dunne & Raby, the pioneers of Speculative Thinking, the starting point of the project was to create a speculative piece designed to start a conversation among my peers. Acting as a research tool, the aim of the film is to try to inspire and identify what users sought in a garment of the future. I then sought to work with and learn from a tribe only found at the heart of Tokyo, Harajuku fashionistas. Rikarin is well known in the community and an online celebrity for her style; conversations with her helped identify deep rooted insights which cannot be uncovered at the surface of what appeared to be a happy, pastel coloured world. Through Rikarin, I was also able to question many members of the tribe and gain a strong overview of issues they faced; this stage heavily informed the rest of the project. A key insight was the alienation experienced by many of the tribe members. Many would live far from the centre of Tokyo and have to commute 2 to 3 hours before they were united with like-minded friends. The solution is a neck garment, which remains closed and black to blend in with the ‘norm’ of dark urban colour palettes; and using shape-memory alloys, would flower upon arrival to Harajuku, revealing all the hidden pastel pins, badges and stickers which is central to the ethos of Decora Harajuku style. 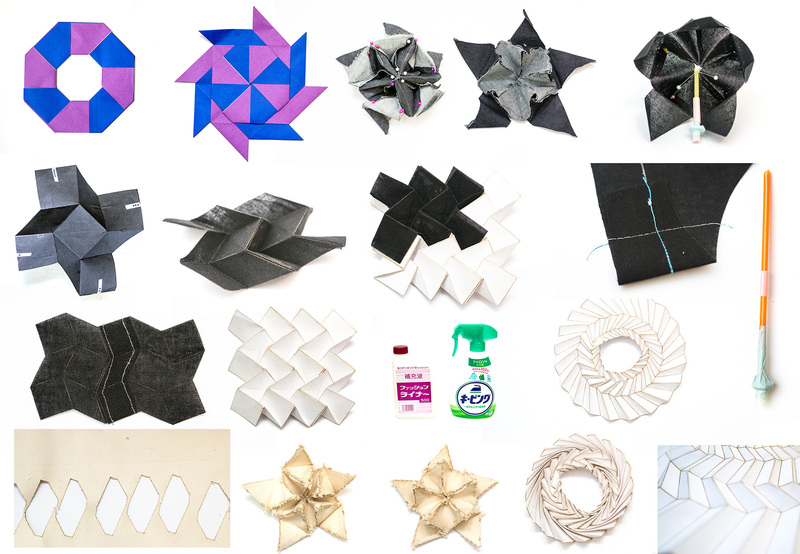 Various origami forms and actuating mechanisms were considered; with an electromagnet and shape-memory alloys evaluated as the best interactive solutions. The outcome presented is a result of a user-centred design process. By finding key insights of the tribe, I was able to consult Rikarin with possible concepts. 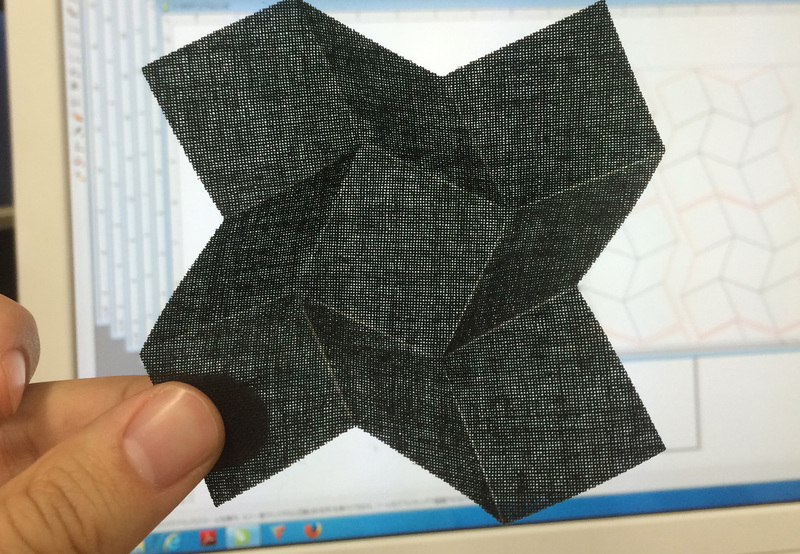 A deep understanding of origami and materials was developed to realise a flowering garment. 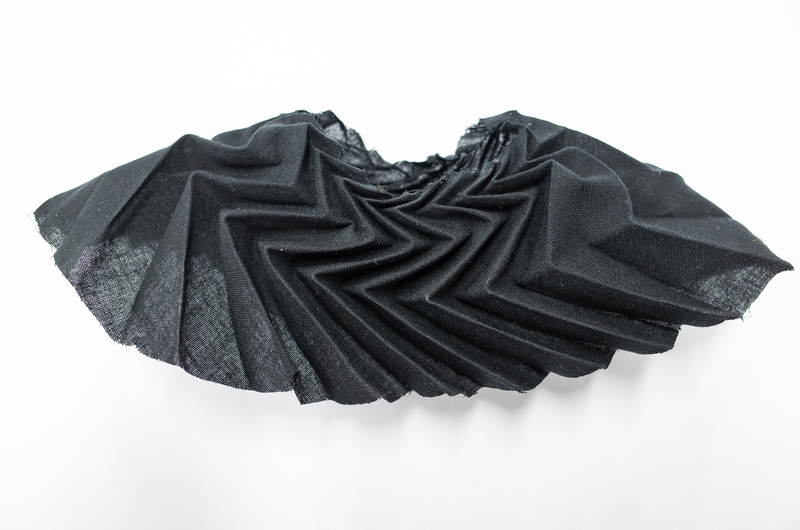 Lasercutting was used to create precise patterns within the complex pleated fabric structures, this was imperative to the function of dynamic origami. My knowledge of mechatronics allowed me to come up with potential actuator solutions and test them for proof of concept. This concept piece still has the possibility of becoming a reality through further development which Rikarin and I have vouched to do in the future.